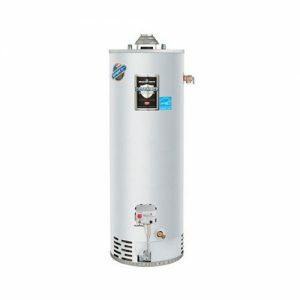 A typical home water heater needs replacing every eight to 12 years. Sure, a meticulously maintained appliance may last longer, but as a rule, you can count on a new water heater every decade. When it’s time to replace your aging hot water heater, Elek recommends Bradford White for its product quality, longevity and efficiency. A leader in the plumbing business, Bradford White offers next-level water heaters that are built to last. In Elek’s experience, these American-made devices perform well beyond their warranty (though life expectancy depends on water quality, system use and maintenance schedules). USA manufacturing. Like Elek, Bradford White has a legacy of experience backing its products. In business since 1881, the company’s water heaters are made in America and feature the latest high-efficiency innovations. Product quality. Water heaters should be easy to use and deliver adequate amounts of hot water on demand. 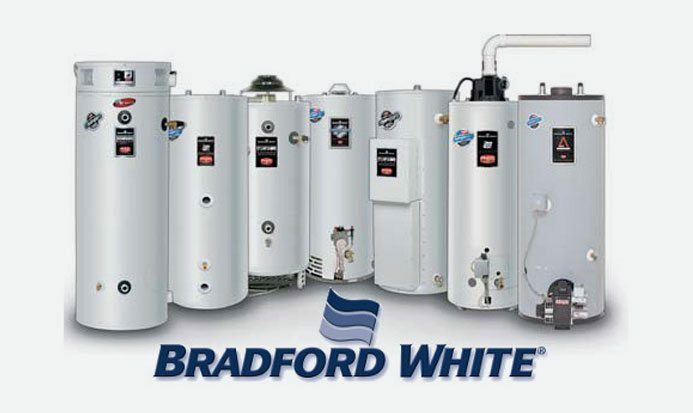 Bradford White water heaters are built from high-caliber parts and materials and undergo rigorous testing for dependability and safety. ENERGY STAR® qualified. Minimizing your carbon footprint while providing notable annual energy savings, all Bradford White water heaters meet ENERGY STAR’s rigorous certification requirements. Safety conscious. Bradford White demonstrates concern for your family by including state-of-the-art, scald-free temperature controls and auto-shutoff features on gas water heaters. Model options. Depending on your capacity requirements, price range and lifestyle, Bradford White has a model for every need. Comprehensive options include tankless, electric, natural gas, oil burning, low-NOx (nitrogen oxide), solar, propane and hybrid models. Warranty quality. Bradford appliances are lined with Vitraglas® enamel to protect against corrosion. They also include a robust six-year warranty on tanks and parts. No matter what your water heater’s make and model, Elek Plumbing technicians can repair, maintain or replace it. Providing knowledgeable advice without a pushy upsell, our SuperSTARS put you first, every day. Call 610.432.7001 now to report a water heater leak, learn more about the advantages of Bradford White products, or speak with a member of our century-old plumbing company.